Biotin is a vitamin used as a tag or label in many different types of biochemical assays. Its small size means it is not as likely to affect the biological activity of the protein being studied. Vector Laboratories offers mouse monoclonal and goat polyclonal unconjugated anti-biotin antibodies for use in blotting, immunohistochemistry (IHC), and in situ hybridization applications. For highest sensitivity, use these antibodies with either the VECTASTAIN® ABC system or the ImmPRESS™ Ig peroxidase polymer detection system (MP-7402 or MP-7405). 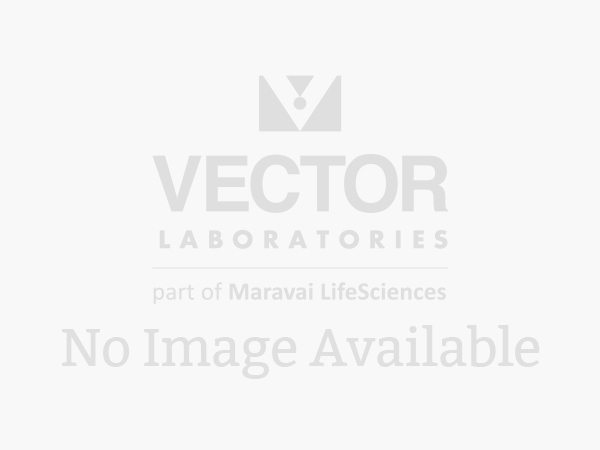 Our conjugated anti-biotin is a polyclonal antibody prepared in goat. Use the agarose-bound anti-biotin to bind and dissociate biotinylated molecules; it contains 1 mg antibody per ml of settled 4% agarose gel beads. Use fluorescein-labeled anti-biotin for fluorescent detection of biotinylated probes in cells or tissues. Use enzyme-conjugated anti-biotin antibodies (alkaline phosphatase or peroxidase) for immunohistochemical, in situ hybridization, enzyme immunoassay, or transfer blot applications. These stable, highly active conjugates are produced with enzymes of the highest specific activity and in optimal enzyme/antibody ratios.